Security System Installed THIS WEEK for 194.95! Take us up on this great deal! Any company can give away sub-standard, low quality, and outdated equipment bought at some bulk liquidation sale. Here at Guardian Media, we want our clients to have the best! Our goal is that there will be a security system in every home in Indiana! 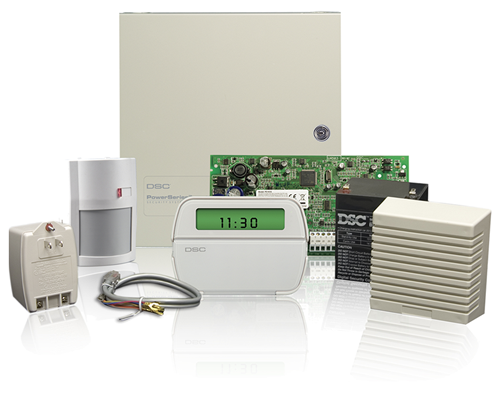 With this limited-time deal, you will get a state-of-the-art security system, an ultra-sleek keypad, a compact motion detector, two door/window contacts and everything else needed to connect your system to a standard phone line. All that we ask is that you commit to basic monitoring with us for 18 months. Why an agreement you may ask? Well, for one, we believe in the importance of monitoring! There is a fleet of professionals ready to act in case of a fire, medical, or intrusion emergency! We also ask for this commitment to be able to offer such a low installation rate. Additionally, we are convinced that you will trust us to protect your family for a lifetime! Your system is completely upgradeable for the future. There are many options available when you are ready to add to your system, including the ability to control your system and your heating and cooling remotely. You can also add devices to your system such as smoke detectors, carbon monoxide detectors, glass break detectors, wireless key fobs, etc. We can connect your system to the internet or use a cellular unit if no phone line is available or you want a backup to your phone line. (Internet monitoring and cellular monitoring equipment sold separately.) Give us a call today! !